Dear Deal Mommy: Can a Family of 4 Spend 10 Days in Europe Summer 2014 for $5,000 with NO MILES? This is the latest of the series “Dear Deal Mommy” where, you guessed it, I answer readers’ questions. 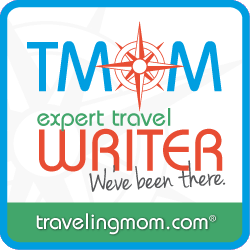 If you have a travel related question, please send it to me at info@thedealmommy.com or via twitter @thedealmommy. I got a great question via twitter this week from Steve: @thdealmommy: I want to take my family to Europe for 1st time. Would you ever recommend a Groupon for someone with no miles? Is $5,000 doable? I’m going to try my best and lay out the trip I would plan if it were my family. I’m not expecting Steve’s family to take all, or maybe not any, of my advice verbatim. What I am hoping to do is inspire some creative thinking skills that may make the trip more obtainable for his family. I also hope you get some inspiration for planning your own adventures! The short answer about Groupon is: maybe, so I needed more info. We’re talking about a family of 4 with kids being 9 and 12. They’re not picky about hotels. Paris is a must, London and/or Rome are desired, Date is flex between Mid June and end of August, 10 day vacation. Departure city Washington DC. He sent me a link to this deal: Groupon to London, Paris, Rome. It’s so bad I didn’t even bother to put an affiliate link in it. They want 12k for 4 people RT in summer, for gems like the Holiday Inn Express in Rome. No wonder people are afraid of traveling! Of course, my first thought was “let’s get Steve some miles!”, but since I write as “The Deal Mommy” and not as a miles/points blogger, let’s see what we can do with just some old fashioned sleuthing in this post. Even without miles, we’ve got to do better than 12k! I’m going into this post blind, meaning I’m researching as I type. I do have some knowledge as I’m still pretty fresh from Camp Mom 2013 and have been planning my own 2014 European Vacation, but don’t know for a fact if I can pull off 5k without miles in summer. I’m also talking only airfare, intra-Europe transport, and lodging here. I’ll be sharing my thought process as I go along and post my “top tips” at the bottom of the post. My first thought when I saw the Groupon and Steve’s wish list was “Griswold”. I totally get the rationale: travel is expensive, not only financially, but in time– a resource even more valuable! With kids 9 and 12, it’s your first trip to Europe and who knows when you’ll get back? My response: Chuck it. (Actually, it’s something less polite, but you get the drift.) Travel is for the memories you make together as a family. You’ll make a heck of a lot better memories if your kids are not overtired, overmuseumed, and on their third bus tour in four days. I’d suggest at least 3 days of a more relaxed environment: beach, rural, town, castle, etc. as that’s where kids get to see “real” Europeans live their lives. My kids have learned more from the grocery stores than you can imagine! Also, Steve mentioned that he had been following my blog for a while now, so with time he will have more tricks up his sleeve! I learned booking my ticket to 2014 European Vacation think in segments, not round trips, and be flexible about gateways. Using ITA Matrix, I did a search within 250 miles of DC and Paris (our must see destination) for a one way ticket a month at a time between June and August 2014. Doing that I saw that Icelandair departing out of JFK was a possibility with lots of dates at $456 with a free stopover in Iceland. Steve also found a fare on XL Airlines for around $420. Budget airline Norwegian Air could also be a good option, as could “fifth freedom flights” on airlines transitioning to more exotic destinations but stopping over in Europe. Fortunately Steve has family in New York so we don’t have to budget for a hotel and parking, but we do have to budget $100 for gas and tolls. Here’s where a good aggregator comes in handy for booking. I like CheapOair and have used them before. Use Promo Code TRAVEL20 for $20 off 2 of more tickets. Using June 22 as a Departure date to Paris the price on XL Airlines Nonstop is $1437.68. Using July 2 as a Return Date from Marseille on XL Airlines Nonstop is $2152.88. The price is the same return from Paris as from Marseille so you could do round trip from Paris. I would use this as an opportunity to take a train between cities and enjoy the culture! On Rail Europe I found a Paris to Marseille family ticket for $295 first class. I think that will be cheaper, but summer tickets weren’t available yet so I was looking at last minute pricing. So on transportation we’re at $3985.56. Yikes. I’m down to $1014.44 for 9 nights lodging for a family of 4, with 5 of those nights in Paris! I told you I was going into this post not knowing if I could get it exactly right. Well, I’ll try my best and share with you my thoughts as I go along. I know from recent experience that family rooms in Paris are a BEAR. If their stay was longer I would go with Endless Vacation Rentals as they’ve got some great deals in Paris. Since it’s 5 nights, my default is the Accor Hotels. They often have book early or free night promotions and have more family rooms than most, or at least rooms cheap enough that you can book 2. I found a family sized suite with a pull out couch at the Suite Novotel Paris Porte de la Chapelle for $698.46 for 5 nights June 22-27. I’d grab that puppy and run! I picked Marseille for a bunch of reasons, even though I’ve never been. It’s not where I would suggest they actually stay, but it where the train ends and where the airport is, so let’s call it the gateway. The options are wide open for relaxation: we could do a beach kinda thing, we could head up into Aix for Provence, but the bottom line is that we are providing a whole different taste from Paris for only a three hour train ride and no extra airports. My preference with the Deal Kids? Take a jaunt to Cannes, no doubt, for Boardwalk fun, French style! For this kinda rental I’d use Booking.com as they have a wide variety of stuff that doesn’t show up anywhere else. Tons of options all over the area show up under $400 for June 28-July 2, including a one bedroom apartment “Cannes 2031” at $397 that I would grab. Well, I’m $80 over budget, but ebates I can get $28 back from Accor, $8 from Booking.com, and $10 from CheapoAir so I’m pretty close! I could have gone cheaper with the rental in Marseille, but I didn’t want Steve’s wife to reject the idea out of hand! I’m also fudging a bit in that they would have to get to Cannes, but I’m thinking the tickets to Marseille are overpriced now so that will come out in the wash.
Top Tip #1 Remember why you want to travel in the first place. What I mean is: are you really just trying to check off a “must see” list or do you want your kids to actually enjoy themselves? I’m not saying you have to indulge their every whim, but if you overschedule, you will pay for it in the end. Top Tip #2: Stop Thinking in Circles. The standard round trip is unnecessary. Have some fun! Try an open jaw: arriving into one city, taking a train, leaving into another. Got a layover? See if you can make it a free stopover and add a destination to your trip. Icelandair is the king of the free stopovers! Top tip #3: Think about promotions you can use NOW to cash in LATER. I immediately had Steve register for the Marriott Megabonus as I knew registration closed Nov 15. I ended up not using it this time, but didn’t want to miss the opportunity and if Steve picks different cities being registered may come in handy. Please share your thoughts, and thanks for reading this edition of Dear Deal Mommy! ← NYC for the Holidays? Mastercard Piles on the Freebies! Thanks for the tips. I’m trying to find a hotel for 4 in Madrid in february on points and it’s killing me. Also looking for rooms for 4 in Paris in July so thanks for tips. Would prefer to use points for hotels but with needing 2 rooms it’s hard. I like your idea of leaving out of another city! Maybe we can do a meetup in Paris ? What chains do you have points with? I’ll try to steer you as I have experience with both cities. In Paris IHG has some family rooms, as does the Hyatt Etoile (read my reviews first!) and Le Meridian Etoile (SPG). If you’re Radisson Gold, Try the Blu-Bologne for paid stays on the weekend extend for 2 rooms. I’ve gotten great rates there as well (I have a review there too.) If you’re there for Bastille Day, a view of the tower is a MUST DO. See my pics…the fireworks over the tower from our hotel room is a “legend (wait for it) dary list” experience. Madrid? In Feb. I’d just pay as you could probably get 2 rooms at somewhere like the AC Carlton (Marriott) pretty cheap and rack up some promo. I only paid 80 Euro a night in June! This article is great! 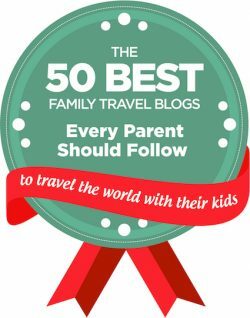 You have amazing tips about traveling to Europe with families that other travel bloggers don’t touch on. I think you are so right about taking a few days to “live” in another country and not just run from tourist attraction to tourist attraction. We want to do the UK in a couple of years and I’m totally going to hit you up for advice. (((blush))) Thanks. It is hard earned! One advantage of having lived overseas is understanding the value of everyday “lessons”. Some of my favorite memories my own travel often focus around haggling with a vegetable vendor or looking to get pants hemmed. And please do stop by often! The first time we took our children to Europe was when they were 10. We used NO points. Icelandair is the greatest. They give a discount for children under 12, feed them dinner and give them a post card to color/address on the plane that they mail for you. We took advantage of the free stop over in Iceland for three days on our return to NYC..which actually made the airfare lower. We flew into Amesterdam, trained it to Brugge, trained it to Paris, flew to Iceland and then flew to NYC. We didn’t scrimp, but we didn’t go crazy. The most expensive part of our trip was the hotel in Paris (Renaissance Le Parc Trocadero) and the rental car in Iceland. (We rented a beautiful 2 bedroom penthouse apt in downtown Reykjavik that was cheaper than the Radisson on the skirt) Our entire trip was just about 8 grand…and I mean ALL in..food and every torture, french fry and chocolate museum to be found. 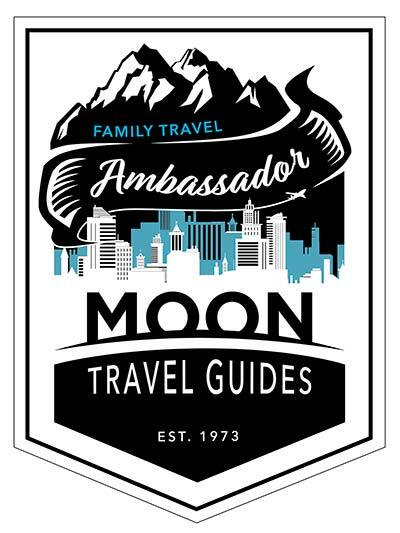 We were able to book family rooms in each city. Brugge and AMS have tons of hotels with family rooms. Paris was a king room with a queen pullout for the kids. Our second trip was last summer and we flew to Munich and immediatley jumped on a train to Villach, Austria from the airport for one night. Then trained it to Lake Bled, Slovenia where we picked up a car to travel around Slovenia for a several days. From there we made Porec, Croatia our home base to excursion. Onto Ljubljana for two nights and then trained it back to Munich for a night to fly home. This trip…all in..two rooms in each location (except in Bled)/transport/gas/activities/shopping/and a Slovenian ER visit…was just under 10 grand for 12 days. AND we rented a car to drive home from PHL because we missed our connection to JFK and wanted to go home. That rental for less than 12 hrs was $300!! So, do I think a family of four can do Europe, ALL in, for 5 grand for 10 days? You’d be hardpressed. Can you do 5 grand just for hotels and air? Totally. It just take a LOT of planning and by using Icelandair. They don’t seem to charge as much with a stopover. Try flying into Scotland and training it down to London/Paris. Try flying into Belgium or AMS and out of CDG. You really just have to spend the time trying different routes and days. I love the way you think! You’re totally my kinda traveler. Thanks for sharing your adventures…it’s the reason I started the blog! I’m hoping by seeing other families swap stories and tips more folks will be inspired to get out there. Yes, it CAN be a lot of work in the planning stages, and yes, things can go wrong along the way, but it is TOTALLY worth it in the end. The ACs tend to slip under the radar and can offer real value for Marriott. I wonder if any Moxys will be open by then? There are 4 courtyards that are Cat 5 in Paris. You’d need 2 rooms, but if you have cheap enough mattress runs those could make sense on megabonus certs. I remember there being a Hilton by Versailles that looked really cool, but I think it was crazy exp on points. If you’re gold CC, def. check out the weekend extend rates (check my blog post “club carlson benefit no one talks about”) for Paris, esp. Blu-Bologne. I got 97 Euro there in July 2012. THANKS Deal Mommy for giving my family options on how to spend less than 5,000. I am happy that the final bill for airfare and lodging is $4500, BUT it came with sacrifices. We REALLY looked into spending time at either Cannes or Marseille, BUT we thought the extra cost of taking the train there and the extra $700 to fly back out of Marseille was too much. We will instead visit Virginia Beach (I KNOW – not the same) on the July 4th weekend because of a SICK deal I got using http://extremehoteldeals.com/. We also moved back the dates to 6/19 to 6/26 to be in Paris for La Fête de la Musique. We are also THRILLED to have a direct balcony view of the Eiffel Tower and the Invalides using airbnb.com for our large room. I had GREAT timing as well! Airfare rose $80 per person after booking my ticket and the room cost increased $150 after that booking! Thanks AGAIN for turning my questions to you into a Dear Deal Mommy! Steve, thanks so much for following up…this warms my heart! Yes, you have to make tough choices, but it CAN be done. we just did 7 days in Italy, family of 4, for $2,800 plus 30,000 Marriott points. So that’s equivalent to just barely $3000 at cash rate, well under pace to do 10 days for $5,000. Consider doing a home exchange and getting that lodging cost down to zero, and also saving on meals with a kitchen to use for cooking. It’s really a lovely alternative to hotels. For a list of house swap websites, reviews and resources check out sharetraveler.com. Great idea, Dawn! I’m also really curious to check out Trampolinn. I haven’t able to successfully connect in the US, but they’re based in France so could be viable there. Hello Dear Deal Mommy, Any suggestions as to how to get around to Barcelona, Spain from NYC/EWR/PHL for a great deal? I want to book a 7 night Italy Disney Cruise out of Barcelona next summer. Just trying to figure the most economical way to get there. For East coast routes try Aer Lingus from Boston to Dublin then a direct flight to Barcelona from there. Dublin is a discount hub. Details in this post. Iberia miles could also be an option as their program is distance based. Search for tickets early (starting 11 months out) and often (inventory is added regularly). Good luck!